We are committed to making progress using collaborative process. (l-r in front) Barak Gale (Climate Reality Project), Barb Scavezze (TCAT), Heather Willis (Thurston County Public Works. The TCAT Climate Action Coordinating Council is a committed group of representatives from local civic groups working directly or indirectly on climate change. The Council is increasing efficiency and impact in the climate fight by defining shared goals and identifying a few campaigns or other efforts to work on together. Participating groups share resources and co-sponsor events to ensure the success of these common efforts. Coordination among these groups includes using online tools and Coordinating Council meetings to plan events and activities that do not conflict or overlap with those of other groups. Groups also discuss how to better align their efforts with one another, and present complementary messages to elected officials and business representatives in the community. Member organizations include: Black Hills Audubon Society, Citizens’ Climate Lobby – Olympia Chapter, Clean Energy Thurston, Climate Reality Project – Thurston County, Congregations for Climate, Deschutes Estuary Restoration Team, Great Old Broads for Wilderness, League of Women Voters of Thurston County, Nutriculture Northwest, NW EcoBuilding Guild, Olympia FOR Divestment Working Group, Olympia Unitarian Universalist Congregation – Environmental Justice Initiative, Olympia Raging Grannies, South Sound Sierra Club, Squaxin Island Tribe Natural Resources Department, Thurston County Public Health, Thurston Environmental Voters, and Thurston Thrives Climate and Clean Energy Work Group. 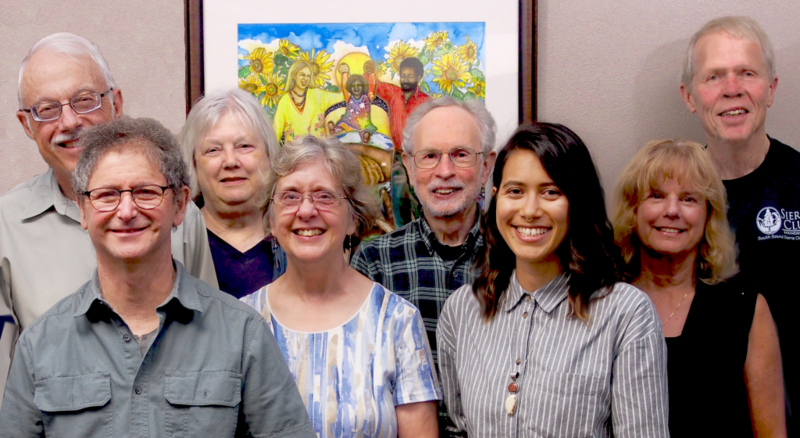 Consider joining the Coordinating Council if you are a member of an organization that is concerned about climate change and want to support collective action to fight climate change. We hold regular meetings among group representatives, to share visions, goals and activity plans among the various groups. Barb Scavezze is managing the project. She can be reached at barb AT thurstonclimateaction DOT org. Over the years we’ve worked with city and county governments, local colleges and universities, planning and economic development agencies, and more. Here are a few of our partners in fighting climate change.